When I'm looking for information on a local store (and I'm sure many of you guys do the same), I head straight to Google Search. It usually has the correct address, phone number, operating hours, accurate reviews, etc. But Google isn't perfect, and sometimes there'll be some incorrect info listed. 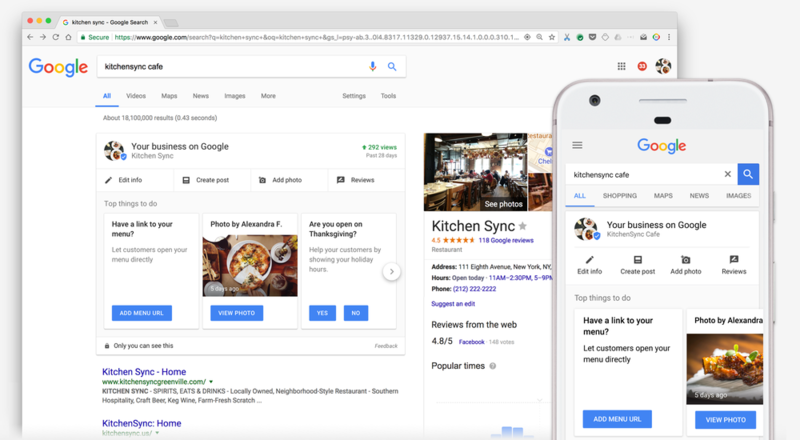 To alleviate this, our favorite Mountain View-based company has just introduced a dashboard for business owners right in Google Search. Google touts a number of statistics about complete business listings on its site (twice as likely to gain customer trust, 38% more likely to attract in-store visits, and 29% more likely to see a purchase). So now, the company is making it easier for your company's listing to have the right details. If you're logged into your Google My Business account, you can just search for your company and edit straight from there. Overall, this will definitely make managing your business's look on Google a bit easier, especially since you can do so on mobile too. My Business users, let us know what you think of this in the comments below.